David Haviland is a writer, editor, and ghostwriter, with a number of bestselling books to his name, which have been sold to publishers all over the world and widely serialised. David has written a number of books of amusing trivia and popular science. Like all his books, this was entertaining and enlightening in equal measure. Clever, witty and informative! Learnt more than I did at school! A most enjoyable read, very funny! A hilarious and fun way of looking at ancient medicinal facts and theories. A Hilarious and entertaining way of looking at ancient medicinal facts and theories. Thoroughly enjoyed it, found it interesting and very funny, we learn more when having fun. This one was very unique. Be sure to have a strong stomach. Very interesting and I loved the title! cool, ,interesting, ancient medicinal facts and theories. I really enjoyed reading this book, it has some fascinating science facts in it. My d-i-l, a book connoisseur/ led me to this amazing novel. Being in the Medical field it was tantalizing. Interesting facts and wild theories with a humorous tone. Some fascinating and amusing facts! I’m a nurse and this book was great. Learning about old medical procedures in a humerus (connected to the funny bone) way. I loved it and recommend it to all medical and just regular people. A bit high on the ewwww factor, but so much fun. A great mix of medical, history and weirdness. 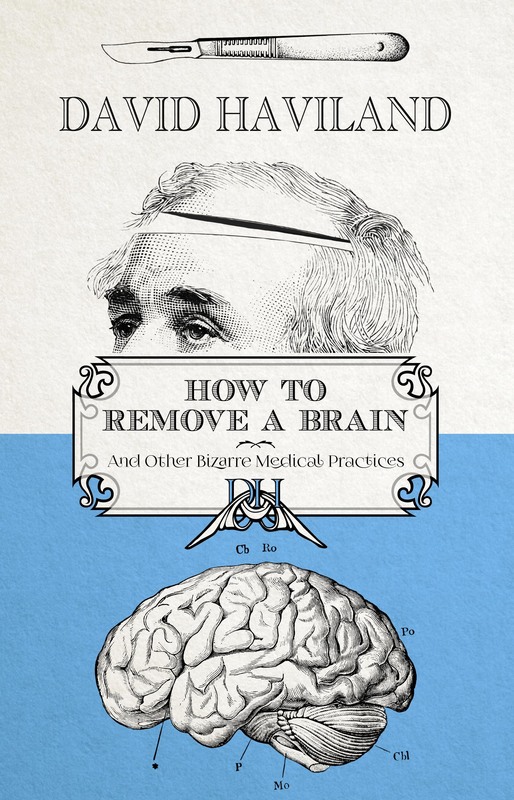 A fascinating book, full of medical vignettes that will enlighten, astound, amuse and disgust the reader. The title says it all, I think 🙂 So unusual but good as well. A different, but absorbing book. Such a funny, weird little book. Learned quite a bit! Superb book. Perfect for an enquiring mind with a sense of humour. Interesting, funny and weird… I loved it! Hugely informative and side-splittingly funny. An interesting and unique read! This was a great read, full of great information and interesting as always!!! As always David Haviland provides us with a fascinating read. Very interesting. A creative, unique and out-of-the-box collection of medical facts and myth busters. Very interesting, clever and refreshing, written with easy to follow details and wit. I really enjoyed this book! An entertaining book. Out of the ordinary and well worth a read.